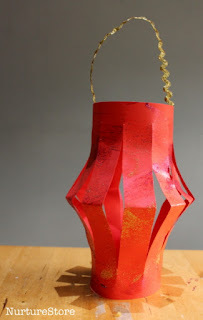 Decorate for Chinese New Year with these red, paper lanterns! 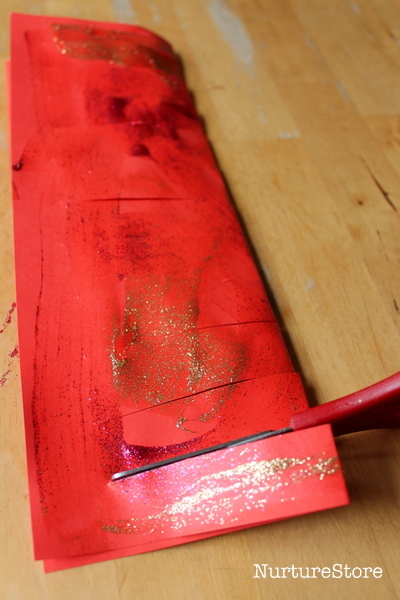 On one side of a piece of red construction paper, lightly paint glitter and let dry. After the glitter has dried, fold the construction paper in half, lengthwise. Using scissors, cut strips into the paper along the fold, but do not cut to the paper’s edge. Strips should be about an inch in width. Unfold the construction paper and secure the top two corners together with tape, and do the same with the bottom two corners. The paper should now be in a cylindrical shape. 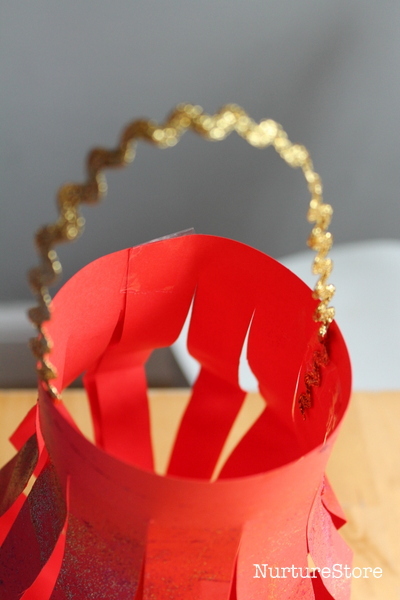 Cut a small length of ribbon and secure each end with tape on the inside top edge of the lantern.